1. Zero cost: Participation is free. 2. Zero configuration: No special software is required for the web-based programming environment. 3. Zero gravity: Every competition culminates in a championship on the Space Station. Massachusetts Institute of Technology (MIT) runs the program in collaboration with NASA and CASIS. Each year features a new “game” based on a real-life space exploration challenge selected by MIT and NASA. Competing student teams must program their robots to maneuver with precision and strategy, protecting their own robot while trying to thwart their opponents’ efforts. 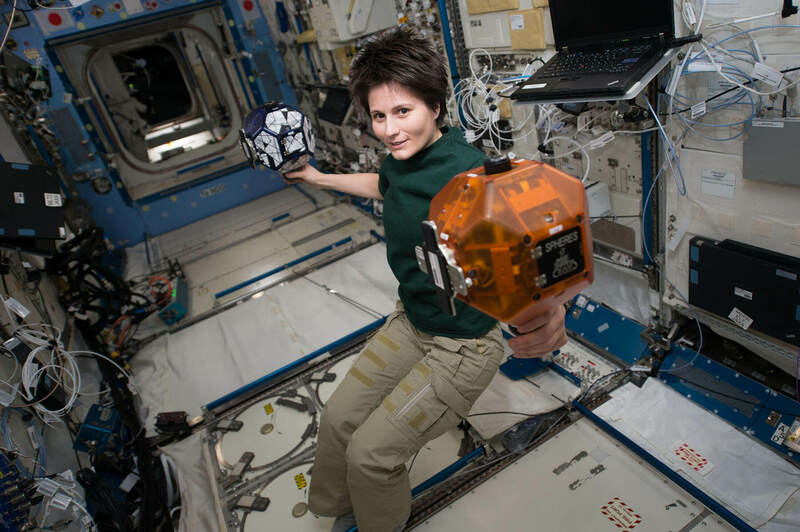 The competition uses soccer-ball-sized robots called SPHERES (Synchronized Position Engage Reorient Experimental Satellite). They float inside the International Space Station and maneuver with small puffs of compressed gas. Astronauts use them for experiments such as testing electronic sensors and studying the behavior of fluids in microgravity. Twice a year, the SPHERES carry out the finalist teams’ programs in the Zero Robotics championships. The high school competition takes place in the fall and the middle school competition is in the summer. Teams start their programming online using simulations that mimic the SPHERES’ behavior in microgravity. After several phases of virtual competition, the finalists’ programs are uploaded to the real SPHERES robots on the Space Station. Astronauts oversee and help judge the championships while broadcasting live for the whole world to see!